Prof. Moshe Zimmermann was born in Jerusalem in 1943 and studied history and philosophy there. 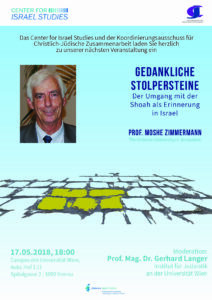 After gaining his doctorate on the Emancipation of the Jews in Hamburg in the 19th century, Zimmermann worked at the Hebrew University of Jerusalem on setting up an Institute of German History. 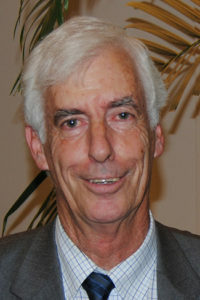 The Richard Koebner Institute of German History was founded in 1980; Prof. Zimmermann has been its director since 1986. The central topics of his work are the history of the German Jews and German-Jewish relations. Prof. Zimmermann also worked at the University of Giessen: at the Collaborative Research Centre (SFB) on Cultural Memories. Researchers from twelve disciplines of cultural studies examined the content and forms of cultural memories in their plurality, constructiveness and dynamics – from Antiquity until the 21st century.